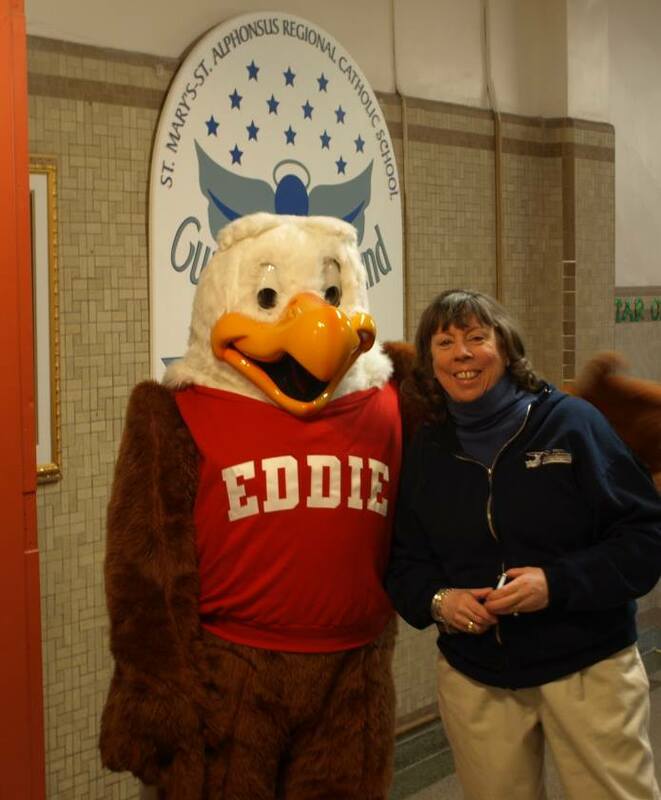 “The Eddie Eagle GunSafe® program is a gun accident prevention program developed by a task force made up of educators, school administrators, curriculum specialists, urban housing safety officials, clinical psychologists, law enforcement officials and National Rifle Association firearm safety experts. 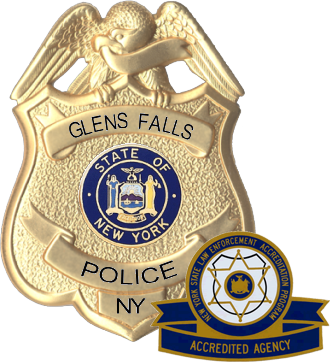 It began in 1988 with one mission: teach children four simple, easy to remember steps so they know what to do if they ever come across a gun. In 2015 the NRA introduced a fresh, new Eddie and added some friends—his Wing Team. 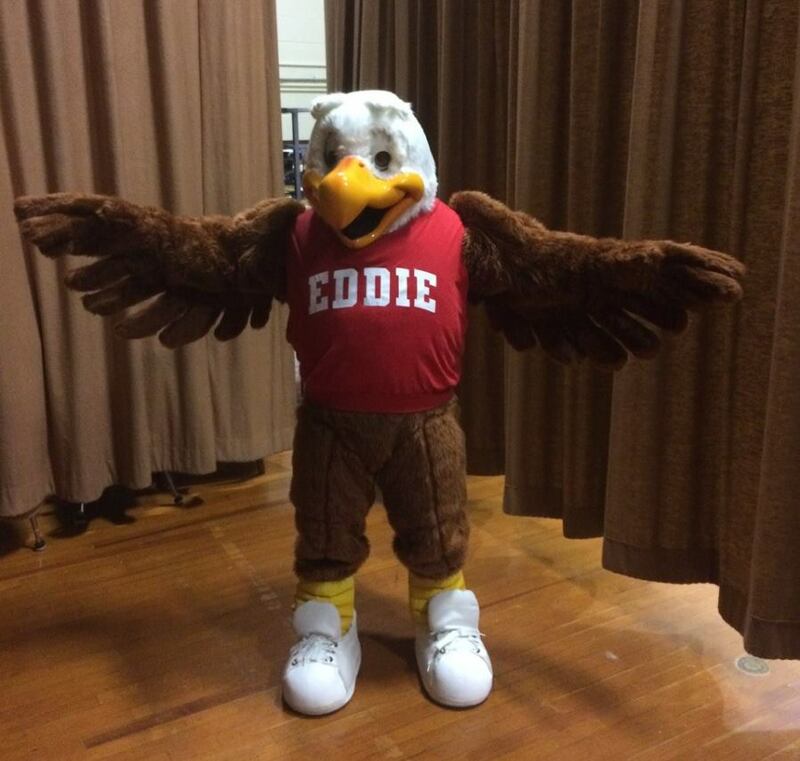 Though Eddie has evolved, his mission has not. In the brand new video, Eddie and his friends remind children that if they see a gun, they need to Stop! Don’t touch. Run away. Tell a grown-up. 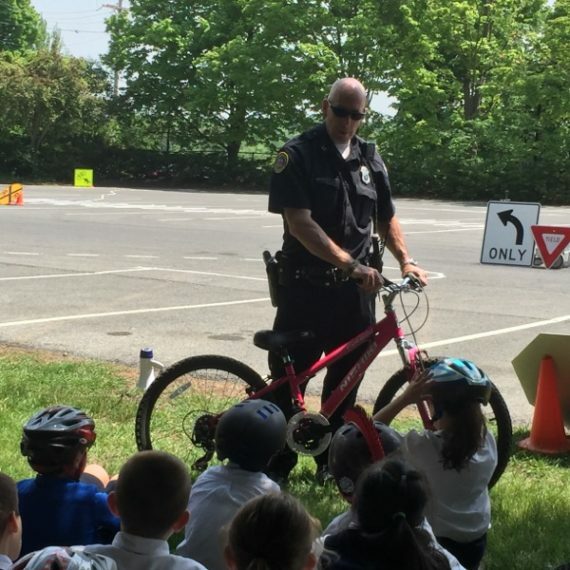 You talk about stranger danger, Internet safety, fire drills and more with children…so why not include gun safety? 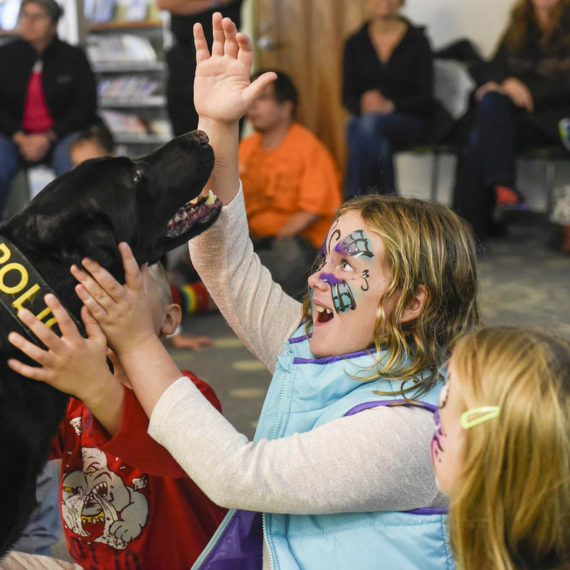 The program makes no value judgments about firearms, no firearms are ever used, and it covers an important topic that needs to be addressed with kids. 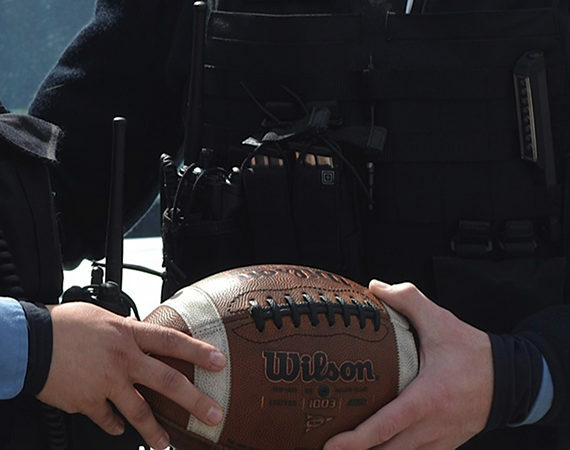 Like swimming pools, electrical outlets and matchbooks, firearms are simply treated as a part of everyday life. 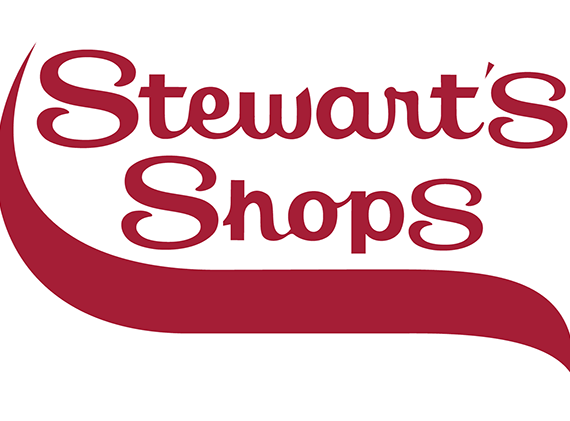 With firearms found in about half of all American households, it’s a stance that makes sense. 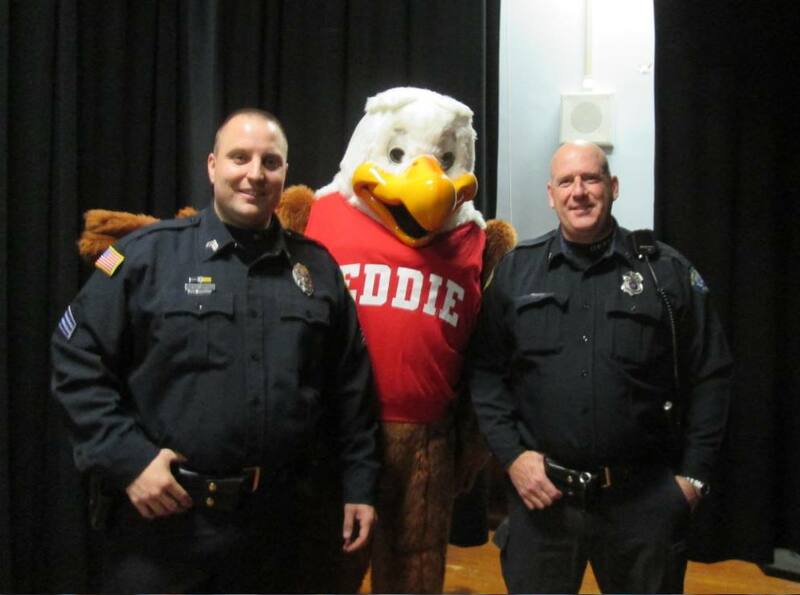 Officer Willette and other officers from the GFPD bring Eddie Eagle to the (five) schools within the district for an annual assembly presentation for children grades Pre-K through 4. 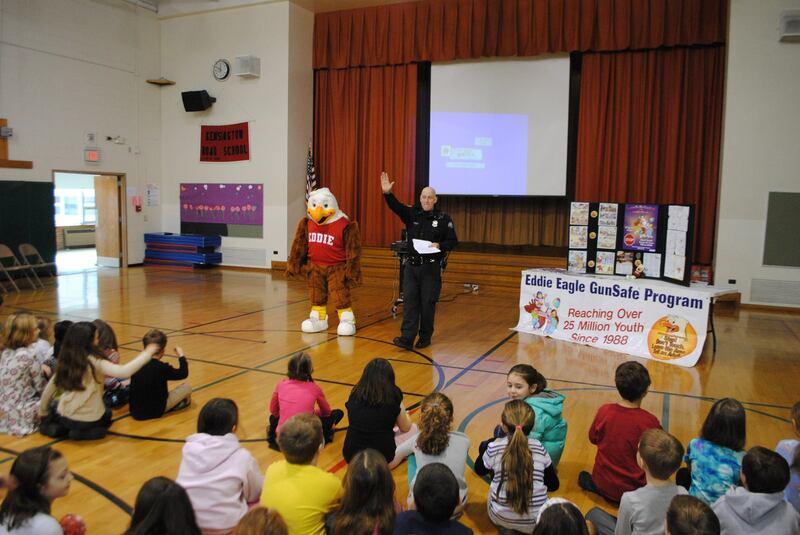 With the help of Eddie Eagle, Officer Willette and his team teach children what to do if they ever see a gun: Stop. Don’t touch. Run away. Tell a grown up. 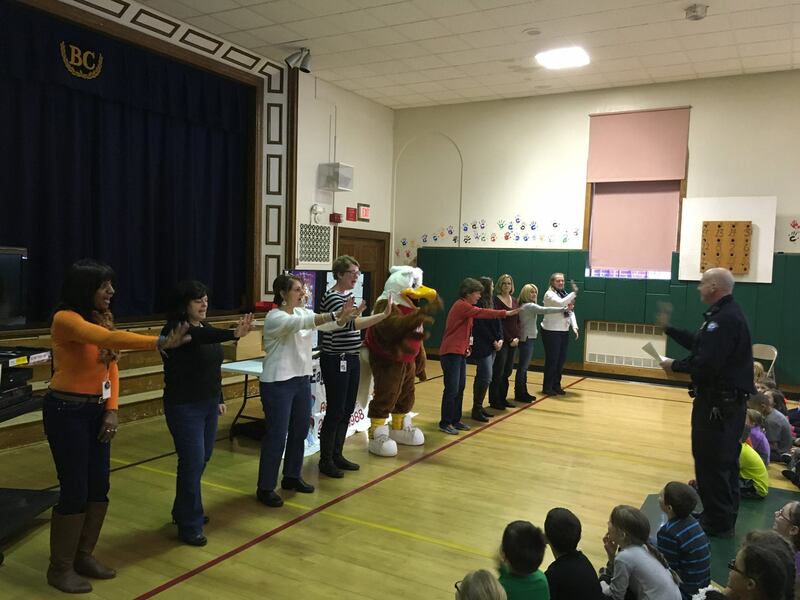 The presentation is highly interactive with parents and teachers even invited on stage to learn a lesson from Eddie Eagle (often the students’ favorite part of the program). 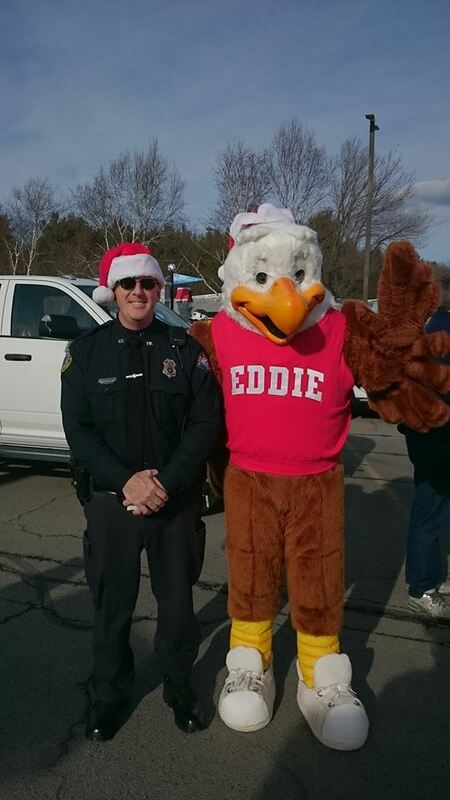 Eddie Eagle also appears at popular community events like the South Glens Falls Christmas Day Parade and the Washington County Fair. 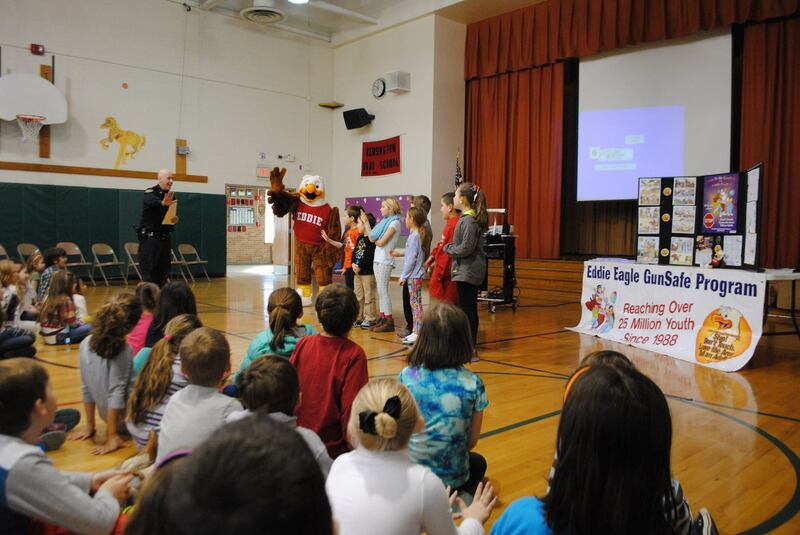 A new trailer and platform were recently purchased by the Department to allow Eddie Eagle to attend even more community events throughout the year – watch for him! 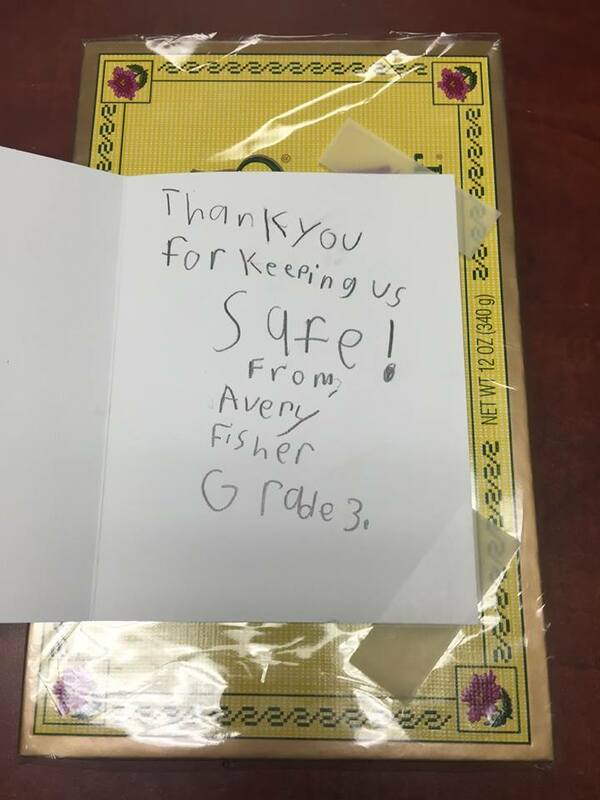 Feedback from the Eddie Eagle GunSafe® program has been extremely positive, the GFPD has received many letters of gratitude from parents, students and schools.